I read this article and found it very interesting, thought it might be something for you. 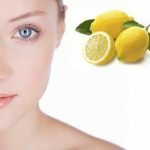 The article is called Almond Oil & Lemon Juice Face Mask For Dark Circles and is located at https://homemademasks.net/homemade-face-mask/almond-oil-for-skin/face-mask-for-dark-circles-with-almond-oil-and-lemon-juice/. I must say that most times the appearance of my dark circles is due to poor sleep and stress. However if I manage to have a restful night’s sleep, my eyes magically recover. Sometimes it does happens though for my dark circles to persist, even if I sleep enough hours. Here is one of the natural face masks for dark circles that helps me every time. In lemons there are plenty of vitamins C and B, riboflavin, calcium, phosphorus, magnesium, proteins and carbohydrates. Vitamin C, well represented in the composition of yellow fruit, stimulates our immunity system. Almond oil contains vitamin E as well as other essential minerals such as magnesium and calcium, vitamin D and it also has a high level of fat. Alternate applying for 10 minutes in the under eye area, warm compresses with cold compresses.